Rice dumpling season is coming, but white rice has been linked to diabetes in a report the Health Promotion Board released earlier this month, based on a study by the Harvard School of Public Health. In response, restaurants are offering healthier rice dumpling options. Instead of using just glutinous rice, some restaurants are throwing in a variety of mixed grains as well as brown rice. Eating mixed grains or brown rice is one of the recommended ways to reduce the risk of diabetes. 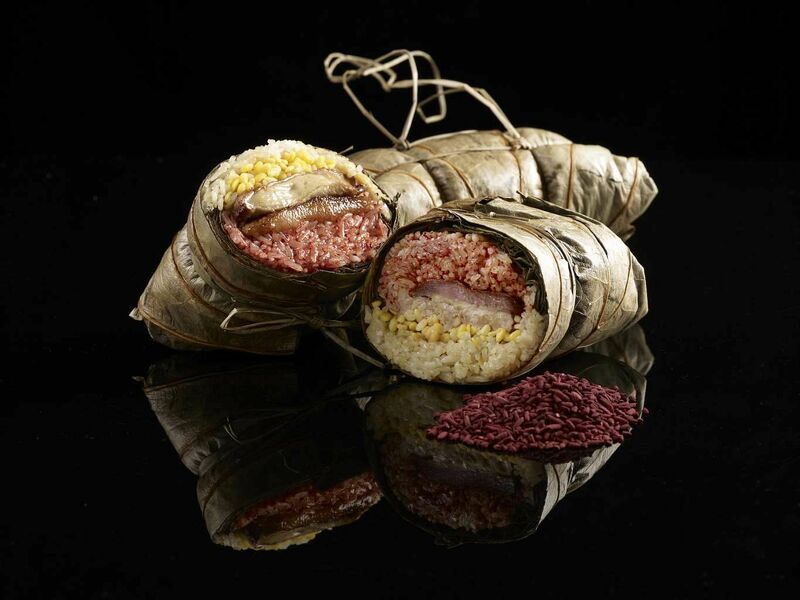 Pan Pacific Singapore's Chinese restaurant Hai Tien Lo's Fragrant Red Bean Dumpling with Multi- Grain Rice has had its glutinous rice completely replaced with a mixture of brown rice, oats, pearl barley, buckwheat, sorghum and black glutinous rice. 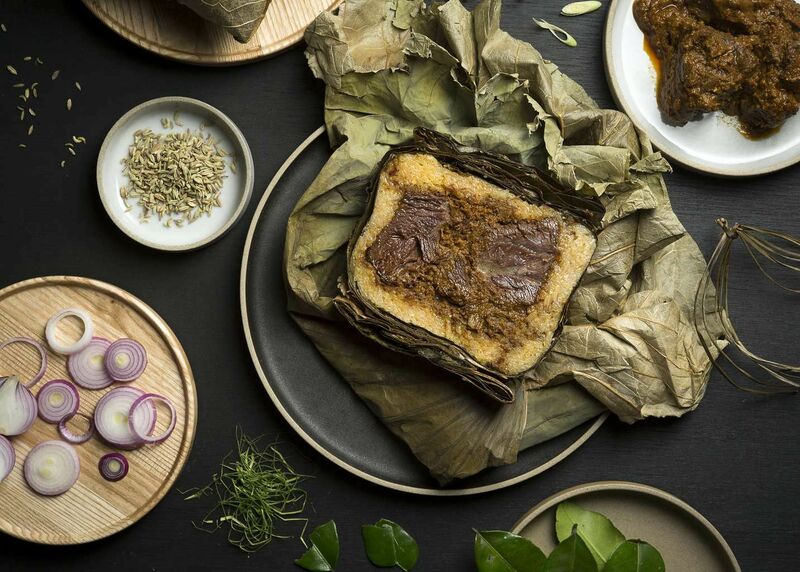 It introduced this multi-grain rice dumpling because of "increasing demand from guests who want healthier ingredients," says Mr Sumanth Das, 40, the hotel's director of restaurants, bar and events. The hotel also offers diners the option of brown rice at all its dining outlets at no additional charge. This year, Orchard Hotel's Hua Ting restaurant is bringing back its brown rice dumpling with trio of mushrooms and black summer truffle paste - a healthier alternative which was well-received when it was introduced last year. The dumpling is made with 70-per cent brown rice and 30-per cent white glutinous rice, which helps retain its shape and stickiness, says the hotel's general manager Richard Ong. Sales of the brown rice dumpling have so far been comparable to last year, when it made up about 35 per cent of the total sales of rice dumplings. Mr Ong expects a surge in sales in the week before the Dragon Boat Festival, on June 9. But for those who do not mind eating white rice, there are plenty of unusual flavours to pick from. Some establishments are also selling rice dumplings for the first time. They include soya bean chain Mr Bean, with its soya floss dumpling, and Chinese restaurant London Fat Duck's duck and pork belly dumpling. 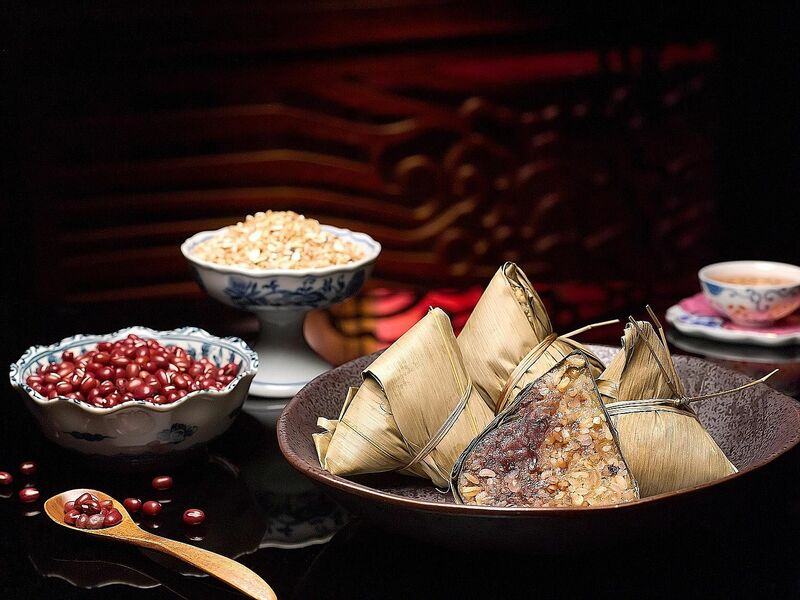 Golden Peony restaurant at Conrad Centennial Singapore goes local with a Singapore chilli crab rice dumpling with chilli crab sauce, while Regent Singapore's Summer Palace restaurant offers a more exotic crocodile meat and XO sauce rice dumpling. On the choice of meat, Summer Palace's dim sum chef Leong Kwok Sing, 55, says: "Crocodile meat has been on our menu and is Chinese executive chef Liu Ching Hai's speciality. "The steaming enhances the umami flavour of the signature XO sauce." What: Tangerine restaurant, known for its nutritious spa cuisine, debuts an organic barley and quinoa dumpling with chestnut puree and morel mushrooms. It is part of the rice dumpling set ($78 nett) of five dumplings presented in a three-tiered bamboo steamer for takeaway. What: The vegetarian dumpling ($8.90) comprises shiitake mushroom, vegetarian ham, peanuts, cordycep fungus and grains, such as barley, and brown rice. What: Try Peony Jade's black truffle vegetarian dumpling with mixed grains and mixed nuts or the steamed premium mixed grains with Iberico pork, chestnuts, shiitake mushroom, Sakura ebi and salted egg yolk dumpling. $12.90+ each. What: In this dumpling ($9.90), glutinous rice is completely replaced with brown rice, oats, pearl barley, buckwheat, sorghum, black glutinous rice, millet and Job's tears. It is also part of the Premium Rice Dumplings gift set ($69.90) with two other flavours and Hai Tien Lo's signature XO chilli sauce. What: Chinese restaurant Peach Garden has two five-grain rice dumplings ($9.80+ each). 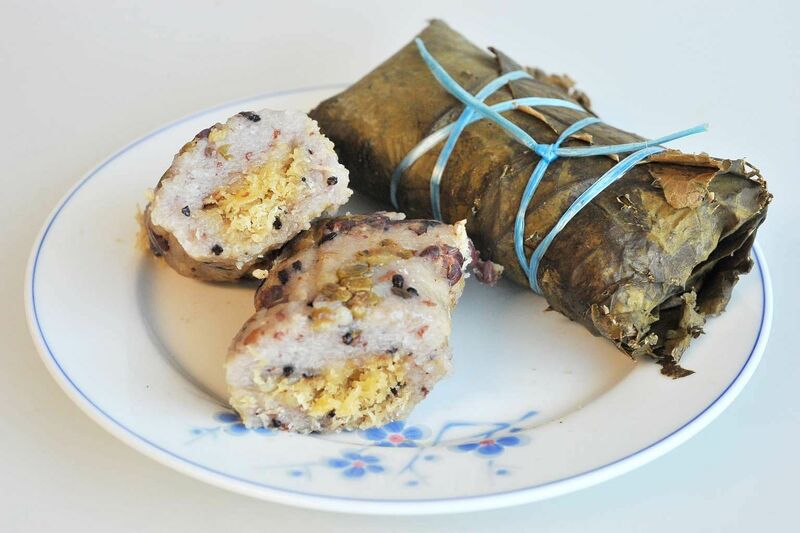 One is filled with shredded coconut, honey dates, raisins, persimmon, candied winter melon and grains such as barley. The other is filled with mung beans, green beans, black-eyed beans, vegetarian abalone and vegetarian ham. Both dumplings include glutinous rice and black glutinous rice. What: The classic beef rendang dish gets the dumpling treatment ($10.80 nett). Beef cheeks are braised in an aromatic and spicy coconut gravy and complemented by glutinous rice. What: Savour the iconic chilli crab in a dumpling. The dumpling ($28) is filled with crab meat and comes with a house-made chilli crab sauce. What: Australian wagyu beef cheek is slow-cooked with potatoes and a house-made rempah with spices such as lemongrass, star anise and cardamom. The meat is wrapped in yellow-hued turmeric glutinous rice. The dumpling is priced at $11.80++ (dine-in) or $12.65 nett (takeaway). What: Mr Bean, best known for its soya bean drinks, has launched three vegetarian dumplings ($3.80 each, three for $10; 10 for $30). One has soya floss with soya protein and chilli, while the other two are filled with chestnuts, kidney beans and mushrooms. What: Cantonese restaurant Mitzo introduces foie gras and duck rice dumpling ($20++); truffle Kurobuta pork rice dumpling ($18++); and osmanthus rice dumpling with brown sugar and osmanthus honey ($15++ a pair). What: Chinese restaurant London Fat Duck's dumpling features its signature duck meat with braised pork belly, chestnut, salted egg yolk and green bean. It is priced at $6.80 (mini) and $13.80 (regular). What: Restaurant chain TCC introduces flavours such as sambal hotate ($7.90), teriyaki unagi ($7.90) and spicy chic ($6.50) - in the style of onigiri (Japanese rice balls).